Posted on 28, March 2018 by EuropaWire PR Editors | This entry was posted in Chemicals, Food & Beverage, Marketing, Netherlands, Switzerland and tagged DSM, ingredients, nutraceutical, Nutrition, personalized nutrition, VFE18, Vitafoods Europe. Bookmark the permalink. Kaiseraugst, Switzerland, 28-Mar-2018 — /EuropaWire/ — DSM will welcome attendees to experience the nutrition of the future at Vitafoods Europe 2018, with insights and innovations that will enable customers to capture the opportunities changing the face of the industry. 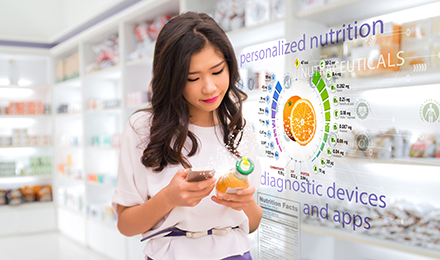 At booth F10, DSM will showcase its capabilities in personalized nutrition, while visitors can experience new scientifically-proven, consumer-tested delivery formats. Highlighting its broader range of novel nutraceutical ingredients, experts will demonstrate how DSM can enable businesses to do more with nutrition by addressing individual consumer health needs.